Snowflake. Light micrograph of a dendritic sectored plate snowflake. Snowflakes are symmetrical ice crystals that form inside clouds when water vapour condenses directly into ice. The exact shape of each snowflake depends on local climatic conditions within the precise area of the cloud where it is formed. 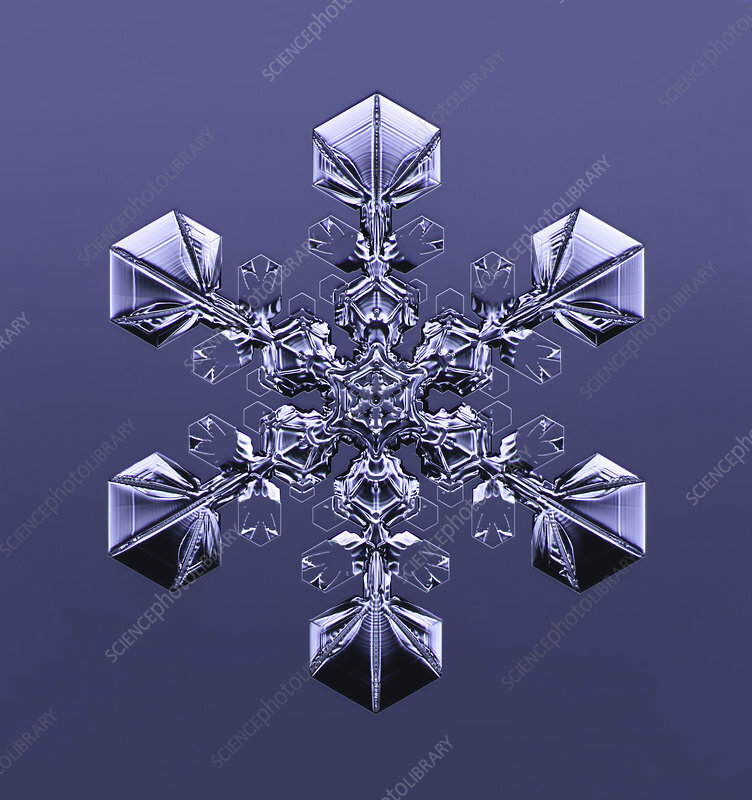 As such, no two snowflakes are identical, with each individual pattern emerging as the crystal grows. Sectored plates are a form of stellar plate snowflake with distinctive ridges that point to the corners between adjacent prism facets. Stellar plates are a common form of snowflake that form thin, plate-like crystals with six broad arms forming a star-like shape.